Home > e-cigarettes > e-cigs > e-liquid. > Eleaf Lexicon with ELLO Duro > Electronic Cigarelectronic cigarattes > nicotine > vape > vaping ette > Do you understand electronic cigarettes? 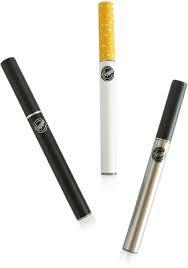 An electronic cigarette or e-cigarette is a handheld electronic device that simulates the feeling of tobacco smoking. It works by heating a liquid to generate an aerosol, commonly called a "vapor", that the user inhales. Using e-cigarettes is sometimes called vaping. The liquid in the e-cigarette, called e-liquid,is usually made of nicotine, propylene glycol, glycerine, and flavorings. The earliest e-cigarette can be traced to Herbert A. Gilbert,who in 1963 patented "a smokeless non-tobacco cigarette" that involved "replacing burning tobacco and paper with heated, moist, flavored air".This device produced flavored steam without nicotine.The patent was granted in 1965.Gilbert's invention was ahead of its time.There were prototypes, but it received little attentionand was never commercialized,because smoking was still fashionable at that time. Hon Lik, a Chinese pharmacist and inventor who worked as a research pharmacist for a company producing ginseng products, is credited with the invention of the modern e-cigarette. Lik quit smoking after his father, also a heavy smoker, died of lung cancer. In 2001, he thought of using a high frequency, piezoelectric ultrasound-emitting element to vaporize a pressurized jet of liquid containing nicotine. This design creates a smoke-like vapor.Lik said that using resistance heating obtained better results and the difficulty was to scale down the device to a small enough size.Lik's invention was intended to be an alternative to smoking. Hon Lik registered a patent for the modern e-cigarette design in 2003.The e-cigarette was first introduced to the Chinese domestic market in 2004.Many versions made their way to the U.S., sold mostly over the Internet by small marketing firms.E-cigarettes entered the European market and the US market in 2006 and 2007. Between their introduction to the market in 2004 and approximately 2015, global usage of e-cigarettes rose exponentially. By 2013, there were several million users globally.In the US, as of 2014, 12.6% of adults had used an e-cigarette at least once and approximately 3.7% were still using them. In the UK, there were about 2.6 million users in 2015 --- which is about 18% of current smokers and about 5% of the population.] 59% of current smokers said they had tried them. In France in 2014, between 7.7 and 9.2 million people have tried e-cigarettes and 1.1 to 1.9 million use them on a daily basis.67% of French smokers use e-cigarettes to reduce or quit smoking. Of the 1.2% who had recently stopped tobacco smoking at the time of the survey, 84% (or 1% of the population surveyed) credited e-cigarettes as essential in quitting. 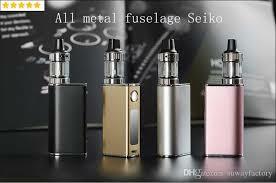 Based on the following reasons, electronic cigarettes are increasingly favored by people. First of all, When used, nicotine is atomized and absorbed without burning, so electronic cigarettes are not the largest carcinogen of cigarette smoke. In addition, electronic cigarettes will not produce more than 60 carcinogens in ordinary cigarettes. Secondly, After smokers switch to e-cigarettes,symptoms of coughing due to smoking can be significantly improved. Because there is no burning, there is no second-hand smoke problem, at least the amount of second-hand smoke significantly reduced. Finally, Electronic cigarettes release nicotine at a speed close to that of traditional cigarettes. For drug addicts, e-cigarettes are more likely to disengage traditional cigarettes than drug-use (quit smoking) nicotine that is slow to release. According to reports from the British Broadcasting Corporation, thecommissioned investigation report of the England Public Health Commission pointed out that the safety of electronic cigarettes compared with traditional cigarettes has reduced the harmfulness by 95%.The report also pointed out that electronic cigarettes help smokers quit smoking. Even the government is proposing to include e-cigarettes in the NHS medical care system. In 2011 Philip Morris International (PMI) bought the rights to a nicotine pyruvate technology developed by Jed Rose at Duke University.The technology is based on the chemical reaction between pyruvic acid and nicotine, which produces an inhalable nicotine pyruvate vapor.